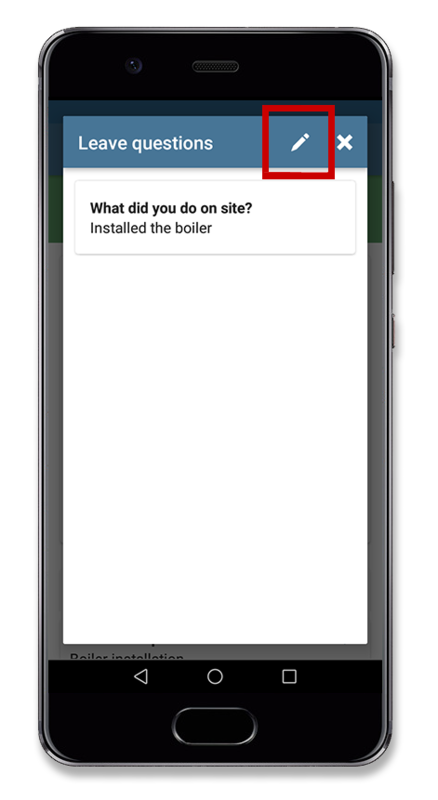 We regularly improve our mobile application for iOS and Android to ensure that your engineers are getting the best possible experience both on the road and on site. It's therefore important for users to update their app via the iOS App Store or Google Play Store, making sure they have the latest version installed. 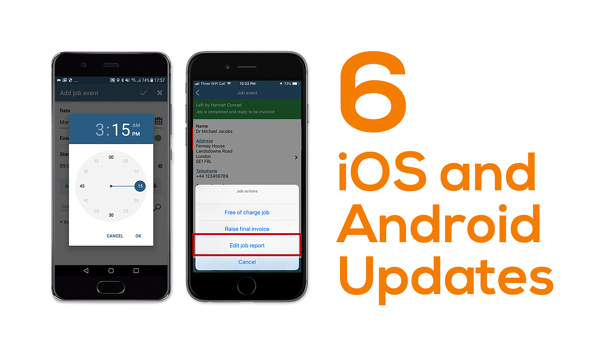 With that in mind, here are six updates we've made recently for iOS and Android. The Commusoft iOS app has 3 different diary views (technically 4 with the map view!) - a daily, list, and monthly view. You can now choose whichever is your preferred view to be the default. There's benefits to all the views, so it's really your choice, which ever makes the most sense for you. You can always access the other views from the side menu. 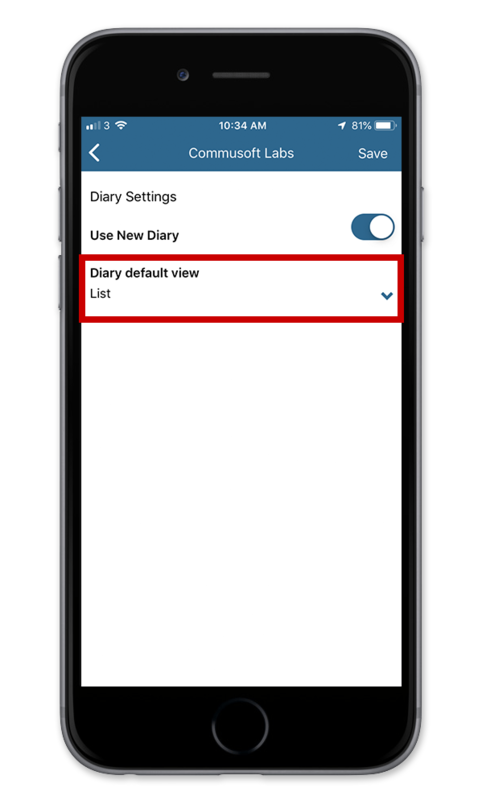 To set your default diary view, go to Commusoft Labs in the side menu. You should now see the setting 'Diary default view' with a dropdown list. Simply select the diary view you prefer and you're all done. Job reports are completed by engineers on site to create a record of the work that was completed. These are customisable and can also easily be sent to customers. Previously it wasn't possible to edit the job report from iOS, so if an engineer forgot to include something or made a mistake, they would not be able to rectify this. With this update, engineers can now edit the job report after it is completed. However, there are two major exceptions to this - if the customer has signed off the job report, the engineer will no longer be able to edit it. This is to avoid potential issues with customers and any improper changes to the job report. Therefore, if you do not require a customer signature (it is optional!) or a customer was not present - the job report will remain editable via mobile. Simply tap the green banner at the top of the job, then select 'Edit job report'. Additionally, if the job has reached its final state, e.g. the final invoice has been raised or the job was free of charge, the job report will also be locked. This next update only applies to the daily diary view. Previously, the address was only displayed for events that were longer than 30 minutes. 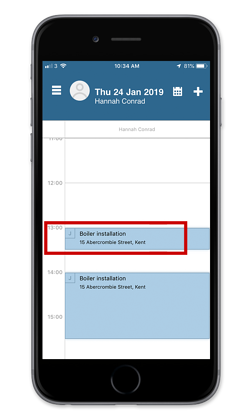 However, we realise there is plenty of space for the address, so the app will now also show the address for 30-minute diary events. 15-minute appointments will not change, still only displaying the job description. At the end of last year we added 15-minute time slots to the web version of Commusoft, allowing for greater flexibility and control when scheduling jobs. 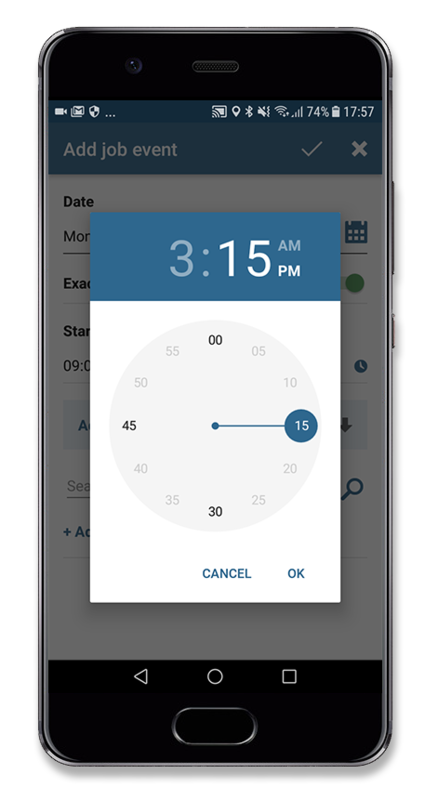 A recent update to the Android Commusoft app means engineers can also add new diary events via their Android phones to start or finish on 15-minute intervals. So that 9:45 to 11:15 job can now easily be added through the Android app. Job reports are completed by engineers to create a record of the work that was completed on site. These are customisable and can also easily be sent to customers. Previously it wasn't possible to edit the job report from Android phones, so if an engineer made a mistake or forgot to include something, they would not be able to rectify this. With this update, engineers can now edit the job report after it is completed. However, there are two major exceptions to this - if the customer has signed off the job report, the engineer will no longer be able to edit it. This is to avoid potential problems with customers and any improper changes to the job report. Therefore, if you do not require a customer signature (it's optional!) or a customer was not present - the job report will remain editable via mobile. 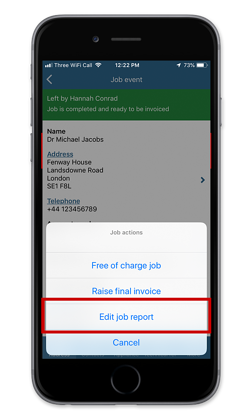 Simply tap the green banner at the top of the job, select 'View job report' - from there you can edit the record. This final update is a really small change, but it's still a helpful little addition for Android users. We've added a quick way to get from a diary event to the corresponding job (or estimate). 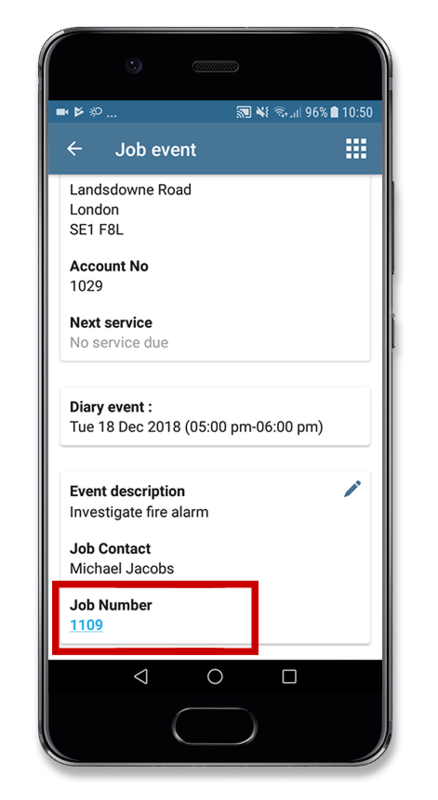 When viewing a diary event, simply click the job or estimate number. You'll notice this is now in blue text and underlined - clicking it will direct you to the full job or estimate. This is useful for when you need to quickly access further information about an upcoming appointment. That covers the iOS and Android updates! If you're happy with our work on the Commusoft mobile apps, we'd love it if you could spare a moment to review us on the app store. We really enjoy reading your comments and it's appreciated by the whole team.